I am going to quilt market tomorrow. I will make sure to take pictures while I am at market. I have a booth to sell my Under the Garden Moon patterns. 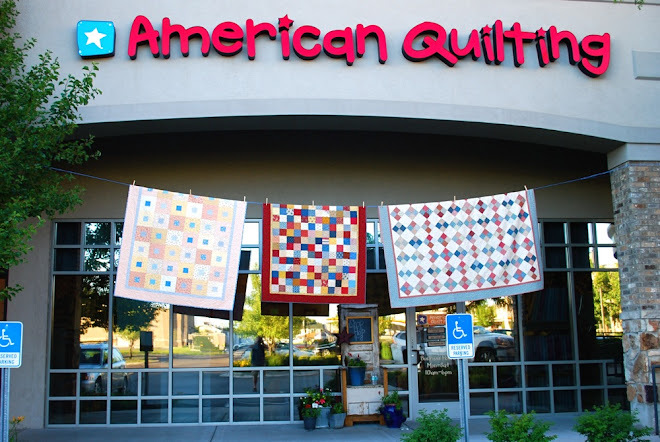 I also get to shop shop shop for American Quilting. I like to see all the new patterns, trends, and fabrics that are coming so I can keep current on all the new things. Wish me luck! I will post again after I get back and settled. Here are some snapshots of a couple of new patterns that will be available after market. Yes, I am down to the wire! This is a new wool wall hanging. No faces as of yet. I promise to get it done before I fly off to International Quilt Market in Houston. It is going to be really cute! This is a new quilt that my daughter, Mindy sewed up. These are 1" finished pieces. Cute as a button. There is also a larger version included in the pattern for those of you who panic over small pieces. This pattern will also be available after market. 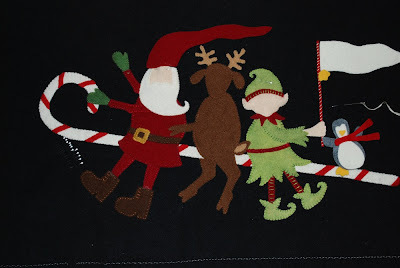 I love your felt Christmas project Amy, even if they don't have faces. The quilt is adorable Mendy! Can't wait to see it in person. Have fun at market. Buy some more 30's PLEASE! I love the Christmas project, its almost a Halloween project without the eyes LOL! 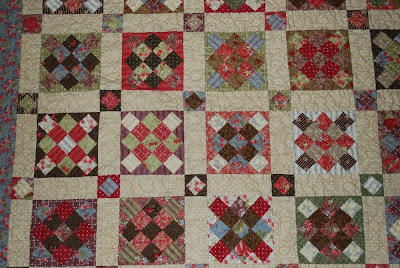 I love the fabric in the quilt. Enjoy Market. I will be there for the Festival part. I'll wait here for your return! Actually just discovered your blog...it looks like a fun one!! Have fun at the market!! Fun stuff! Love the wall hanging and will be interested in getting a pattern for one! Have fun at market! I want a kit of that new quilt!